It’s been a scorcher of a fortnight in the UK; we are experiencing a rare heatwave. And as always, us Brits still bloody moan about it. It’s been a mixed bag of a month – holiday, the passing away of my Nan, illness and work and we’ve all felt a bit, well, naffed off. This weekend was the third birthday for the youngest of my blogging bestie’s lovely kiddos and despite feeling rubbish we couldn’t not go and celebrate – they boys are proper little besties, it’s proper cute. Especially when they fight all the time. Bless. But jokes aside, they have a lovely little friendship and we couldn’t wait to celebrate with el familio Whinge. 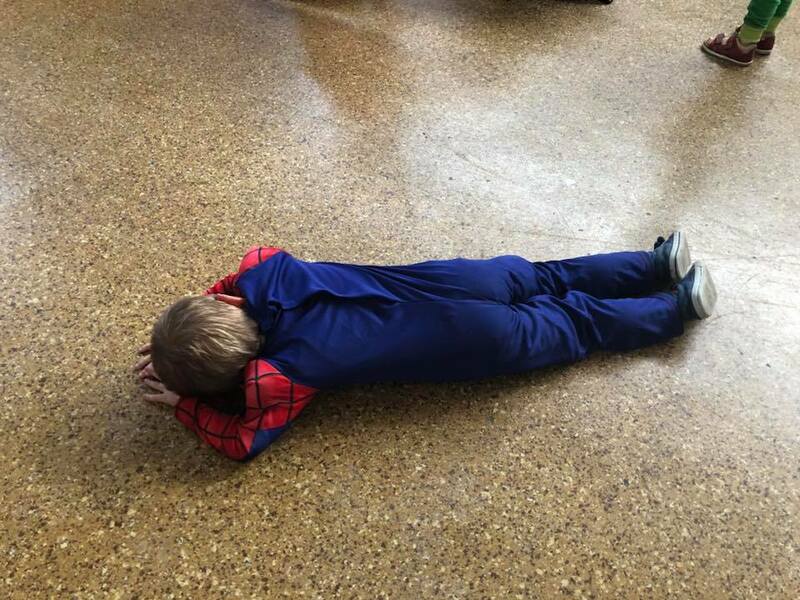 The boy went as Spider-Man. Despite the thirty degree heat he insisted on wearing the full get-up. What a lad. The party was, in one word, EPIC. 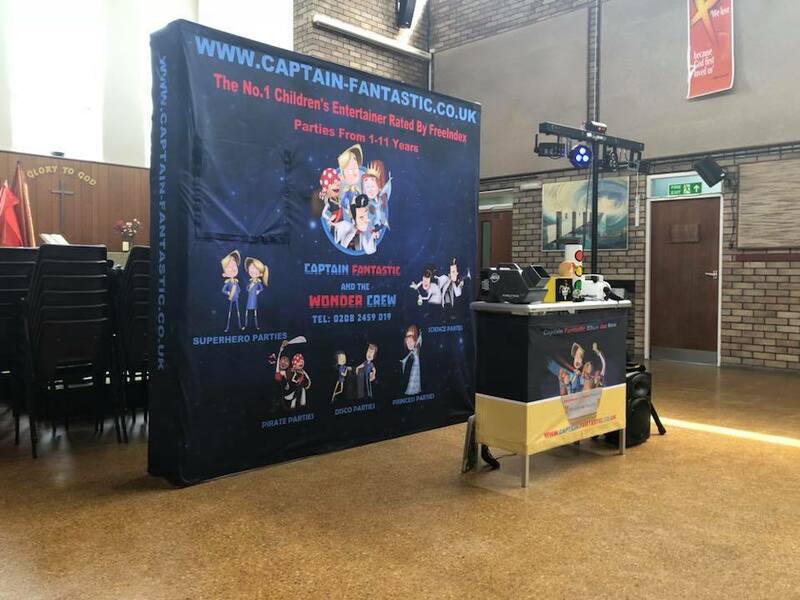 Captain Fantastic were on hand to provide two hours(with 25 minutes for lunch) of fun and games for the kids. And adults to be fair, it was so much fun. 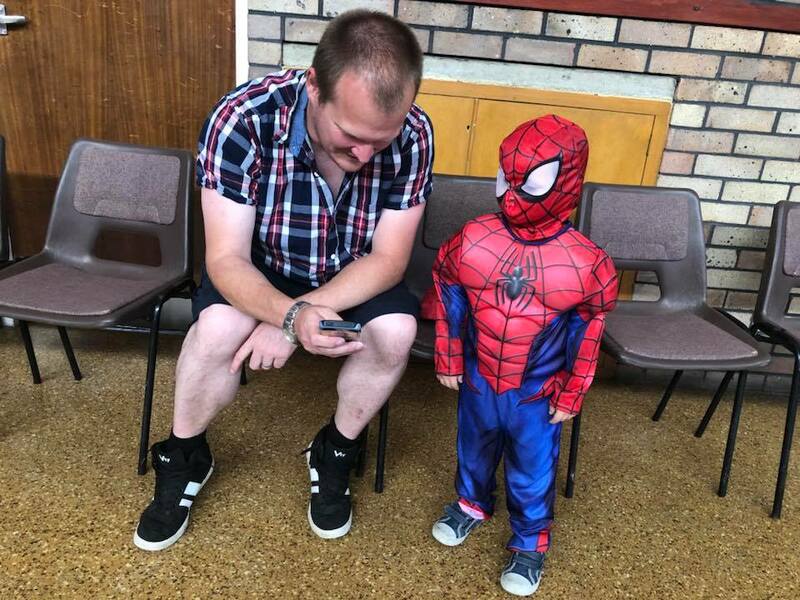 Things kicked off with dancing and some magic tricks – the party was ‘Superhero’ themed and there was a mix of children aged from one to maybe seven; and they all had a fabulous time. 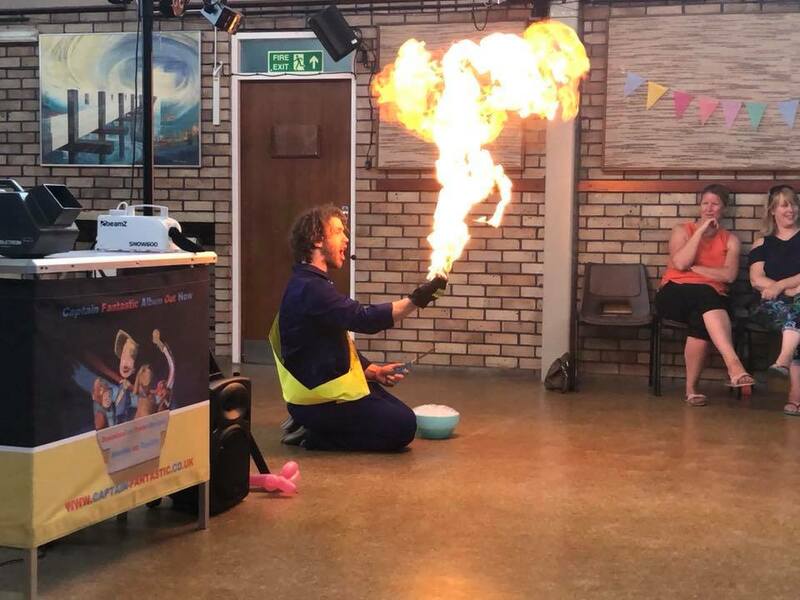 There was a cheeky monkey(it’s a puppet, ha), fire(like flame throwing but perfectly safe, I know, my eyebrows raised at the mention of it initially), games, dancing, a cheeky limbo and everybody got a balloon animal to take away. Captain Fantastic himself was ace. 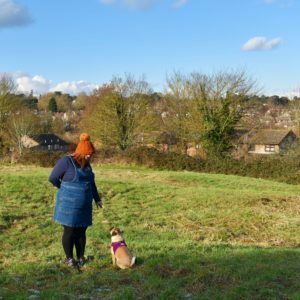 I have oodles of respect for children’s entertainers because the mere thought of working with kids terrifies me – you have to be amazing with kids and be able to think on your feet. 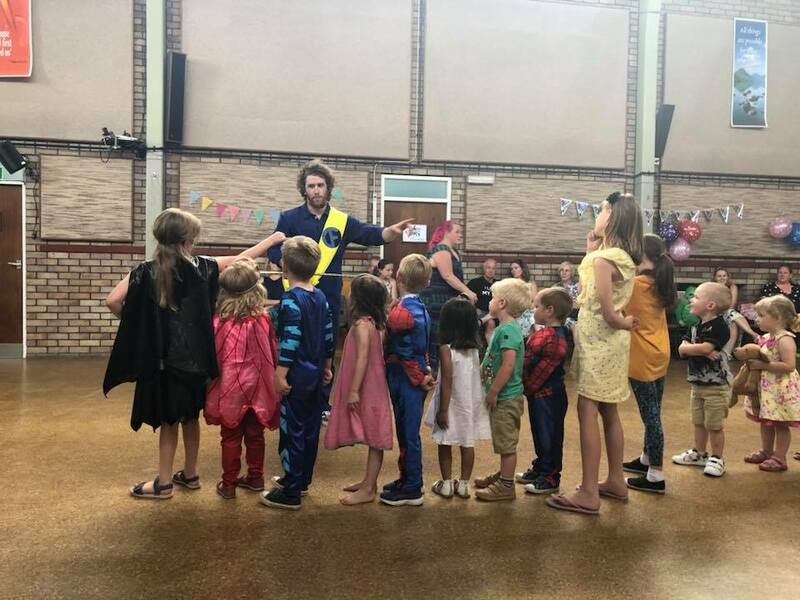 Captain Fantastic ticked all the boxes; he made the kids roar with laughter, steered proceedings if they veered off course and the kids loved him. My little man can be really shy and doesn’t often want to join in – I’m pleased to report he joined in and had to be physically removed from the dance floor at home time. 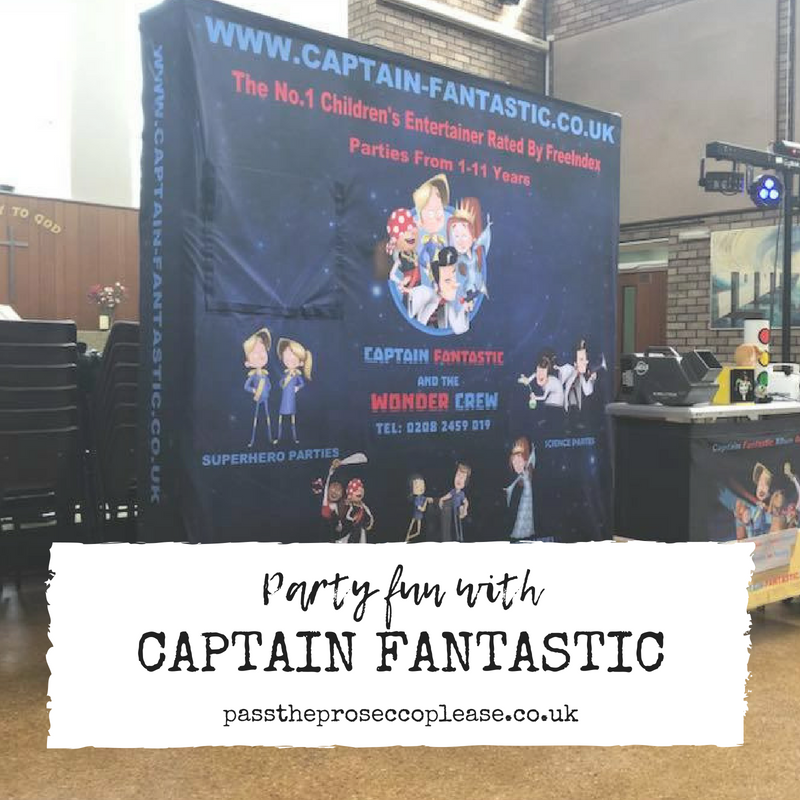 All in all we had a lovely day, and I’m contemplating booking a Captain Fantastic party for my little man in November – thank you Whinge Whinge Wine for having us, we had a fab time!